I designed and built this custom cherry display cabinet and mirror for a great couple who wanted the pieces to compliment some other cherry furniture they had bought after remodeling their home. They wanted to incorporate some sapwood because they liked the interesting color contrast, so I carefully selected some nice figured cherry lumber to fit the project. 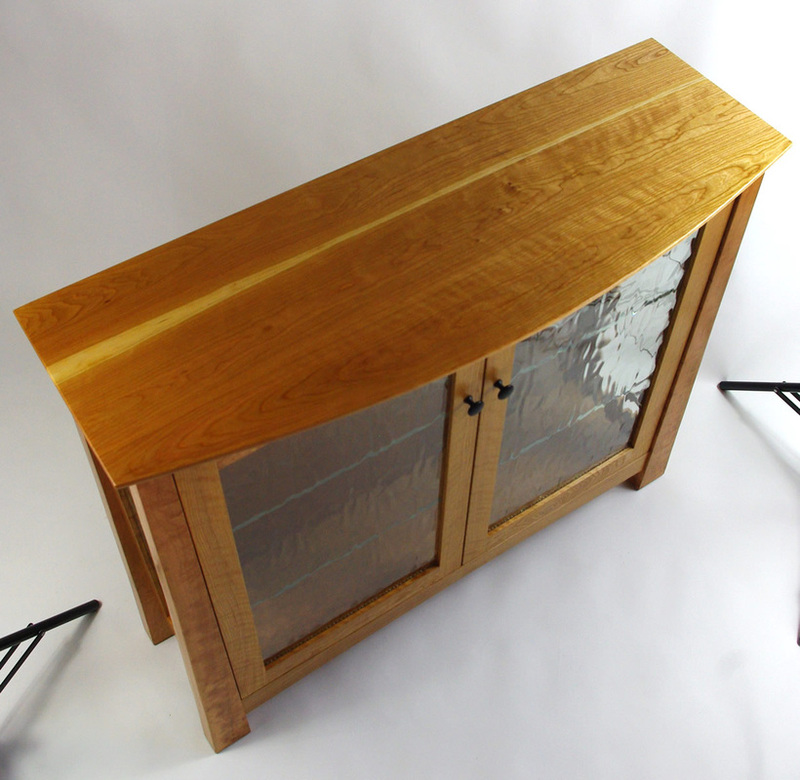 My clients picked out the patterned glass for the doors and side panels in person with me at Studio GlassWorks. 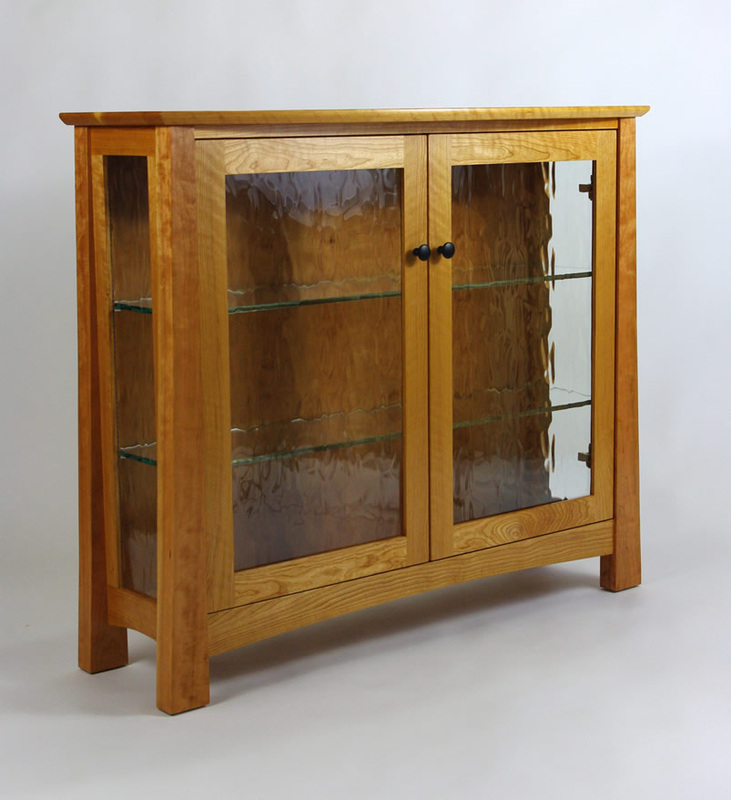 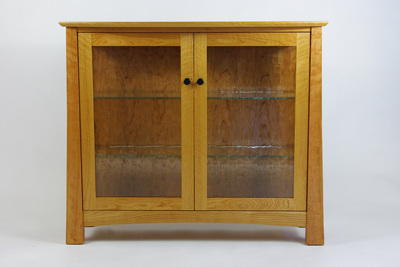 The cabinet features custom adjustable glass shelves, and soft close hinges. 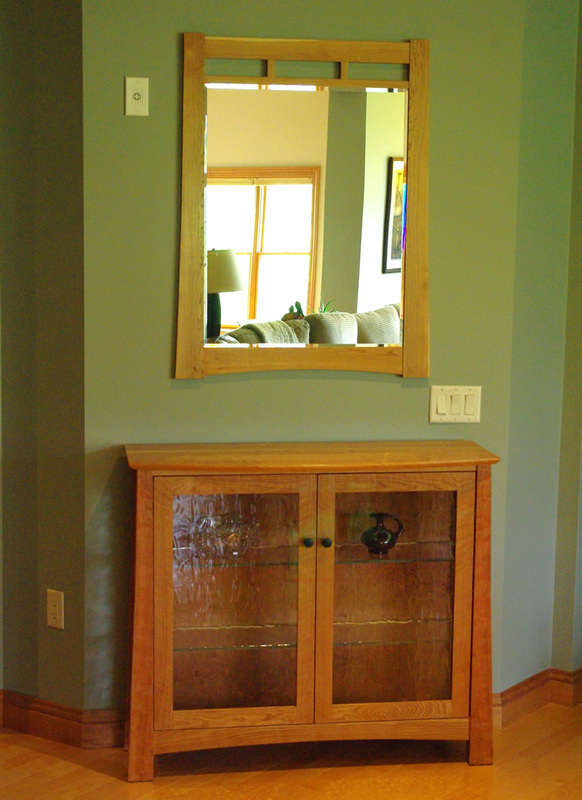 The mirror is a nice custom beveled glass piece as well.